If you're looking for the perfect way to decorate your child's room, look no further than this children's decorative wall vinyl! 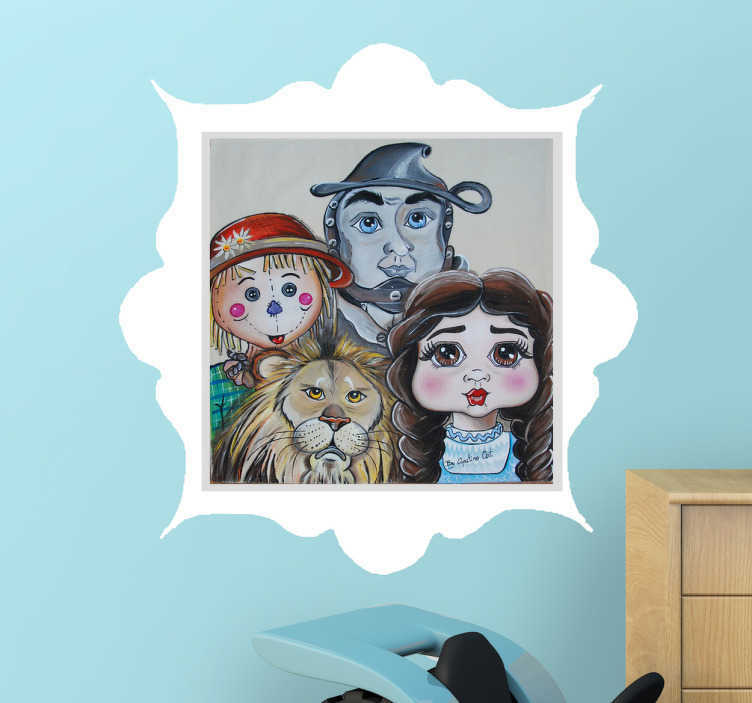 Featuring an illustration of the main characters from the iconic musical The Wizard of Oz inside a frame design, this sticker is as easy to apply as it is to remove, leaving no residue upon removal! Available in a variety of different sizes, this vinyl is even suitable for outdoor application!